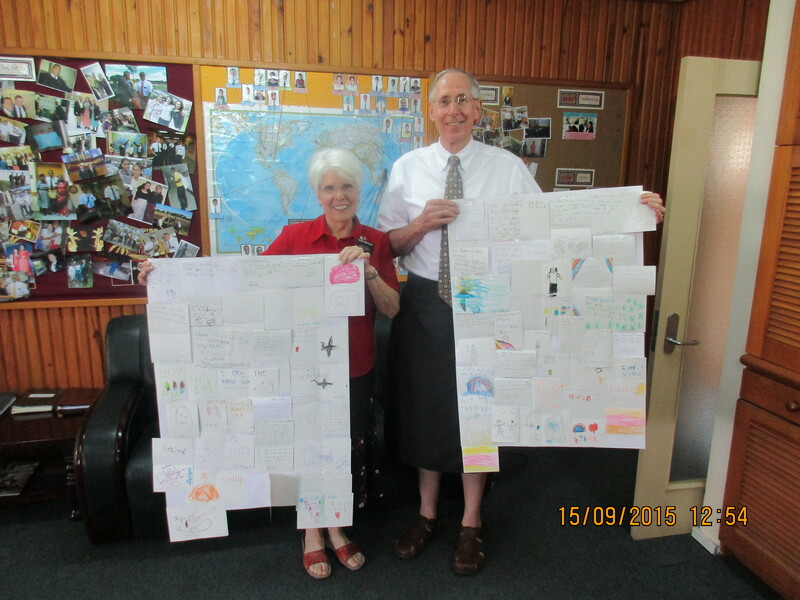 September 14 – 20 – Craig and L'Or L.
Our week started with a fun surprise: the Primary children from our ward in Cheyenne drew pictures and wrote us letters. We put them up on display at the Institute, and the YSAs let us know they had their favorite – a picture someone drew of Elder Whitehead in his sulu. A child wrote, “you are silly!” (for wearing a skirt). We all had a good laugh, and definitely felt loved. Vinaka vakalevu! Dvid, Bro Sefeti, Joyze and Sean loved the cards, too. 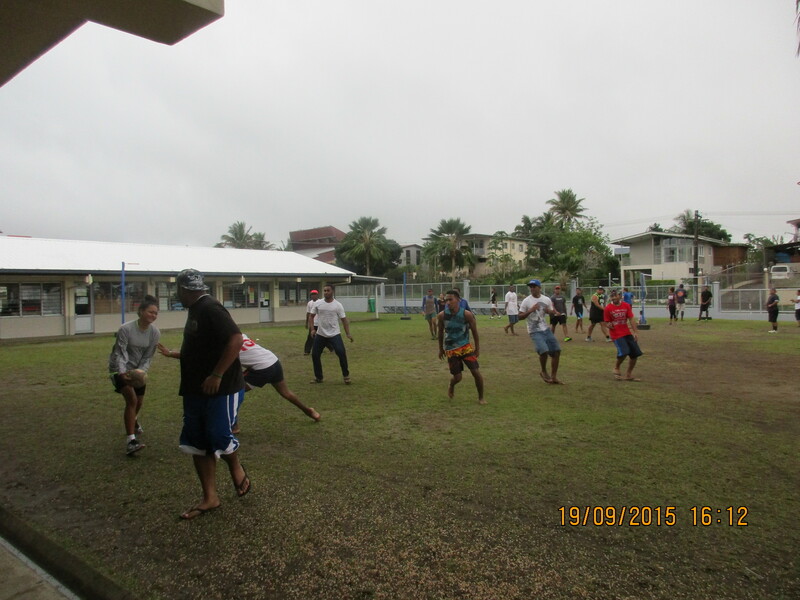 Neither rain nor Fiji’s rugby loss to England (we could hear screams from all our neighbors as they watched the game on TV), could dampen the spirits of our wonderful YSAs on Saturday. 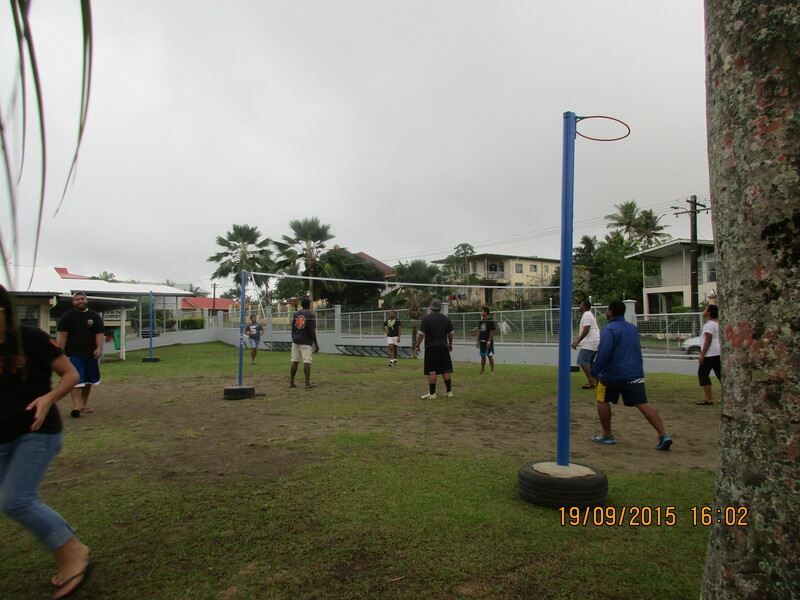 Around 60 came that afternoon to play volleyball, basketball, head & chest ball (a little like four square?) and, of course, rugby. We had a blast! The only thing that stopped the volleyball was the closing prayer! 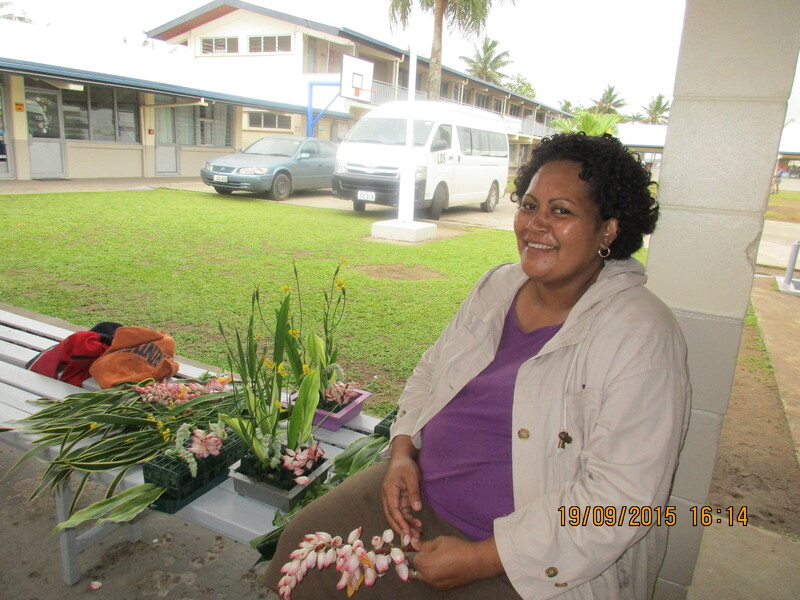 And through it all, Sister Toga sat calmly and made beautiful fresh flower arrangements. She makes them every week to put in the chapel. 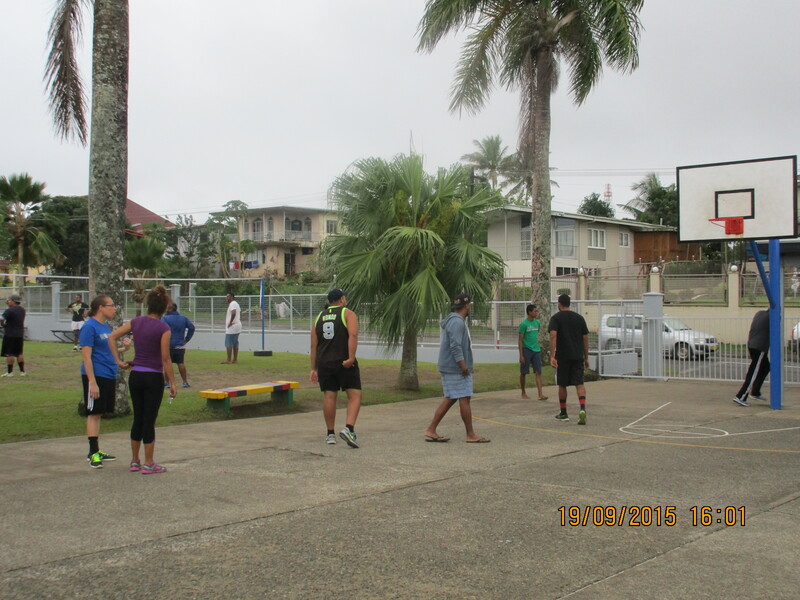 Sunday we spoke in a Fijian speaking ward. It was a special experience hearing the hymns sung and prayers offered in Fijian. You should have seen us trying to pronounce and sing the words to “Called To Serve” in our Fijian hymnbook! There really is a difference when someone prays or bears testimony in their mother tongue. As we listened to the sacrament prayers, the impression came to me that no matter what language we speak, it is the same Heavenly Father who hears those prayers, the same Beloved Son we covenant to remember, and the same Spirit with which we are blessed when we keep our covenants. 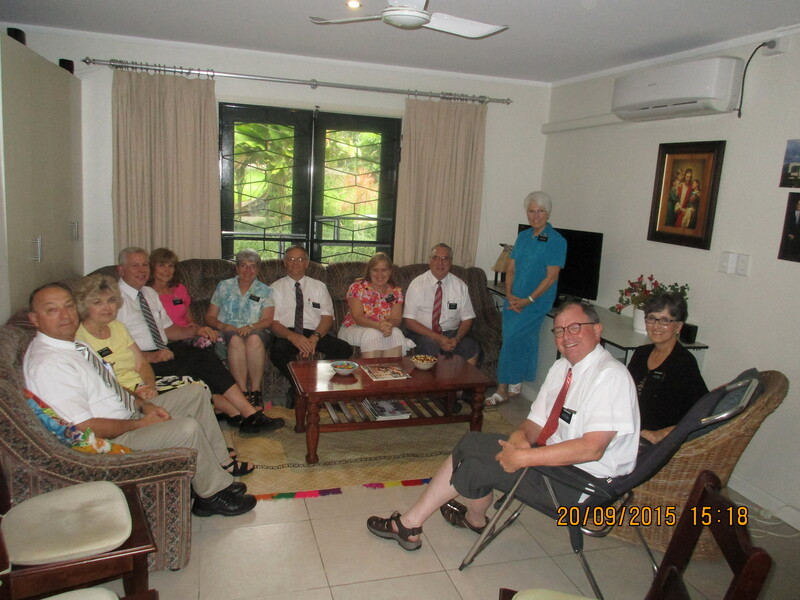 We visited with other senior missionary couples in our flat Sunday afternoon, and it was interesting to hear about their experiences. 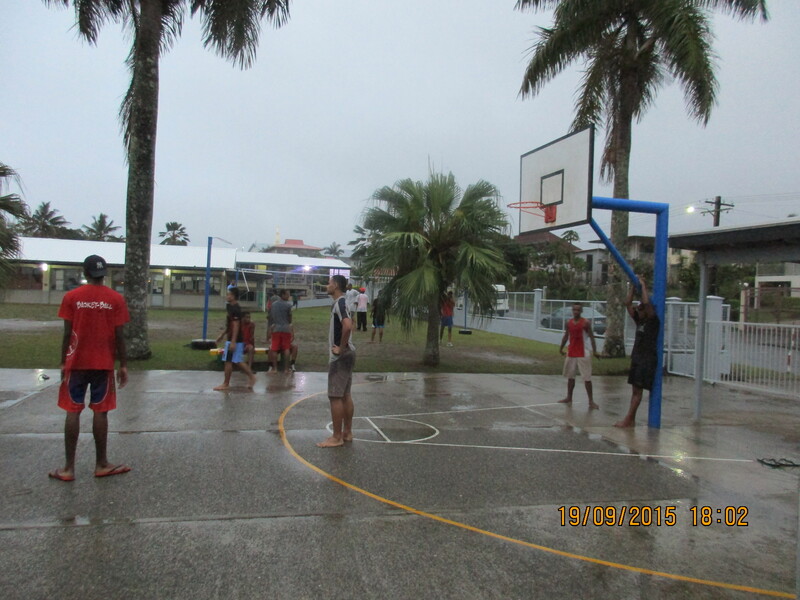 One sister told us about a young missionary who has learned to speak Fijian and Hindi fluently. He had never done well academically. and humbly, gratefully recognized his ability to learn these languages as nothing less than the gift of tongues. Alldredges, Greenburgs, Jensens, Knights and Martins and I in our flat.